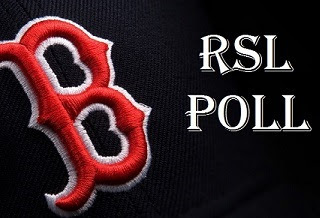 RSL Poll: Should the Red Sox sign Carlos Beltran? 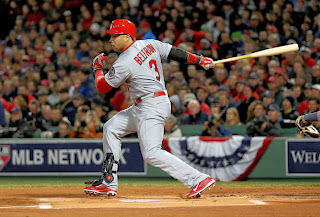 According to the New York Post, the Boston Red Sox are aggressively pursuing St. Louis Cardinals free agent and 8-time All Star outfielder Carlos Beltran. With Red Sox center fielder Jacoby Ellsbury likely gone in free agency, Beltran could play right field with Shane Victorino moving over to center. Signing Beltran could also let Red Sox prospect Jackie Bradley Jr. marinate a little longer in the minors. Beltran was extended a $14.1 million qualifying offer by the Cardinals, but he is expected to reject it and become a free agent. Any team that signs Beltran would surrender a number one draft pick. The 36-year-old Beltran has stated he'd like to play two or three more seasons. Many expect him to sign a two or three-year contract with an average annual value around $12-15 million. The Yankees and Orioles are also rumored to be interested in adding Beltran this offseason. The switch-hitting Beltran hit .296 with 24 home runs and 84 RBI last season as the Cards lost to the Sox in the World Series. Should the Sox sign Beltran?